What’s better than a phablet with exquisite build quality, excellent screen and a top notch camera? Getting said device for free of course! 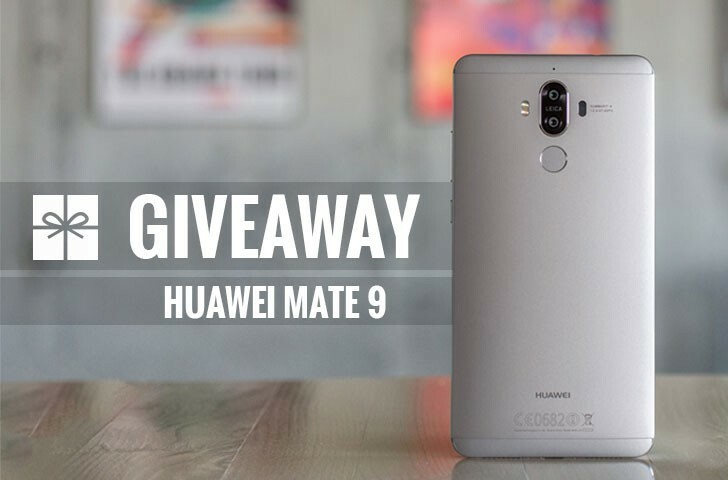 And now, courtesy of Huawei, you have the chance to win a brand new Mate 9 device in this fantastic giveaway. Up for grabs is a Space Gray unit and you will have two weeks to sign up and collect as many entries as possible. In case you want to know more about what’s at stake here you can check out our review, where we examined the Mate 9 in great detail. You can also swing by its specifications page for the tech details. Follow Huawei on Twitter (1 entry). Like Huawei on Facebook (1 entry). Subscribe to Huawei's channel on Youtube (1 entry). Share the news about the giveaway via your Twitter account (1 entry). You can do that once per day and each tweet will grant you a new entry. Refer friends for extra entries (1 entry per referred friend). Follow us on Twitter (1 entry). If you are already following us there's no need to do anything - just claim the reward. Subscribe to our YouTube channel (1 entry). If you have already subscribed there's no need to do anything - just claim the reward. The giveaway is open to everyone aged 18 and over with the exception of those residing in China. Sorry fellas, but those are the rules of our giveaway partner. The submission and winner drawing process is operated by Gleam. Only 1 registration per person - you can collect multiple entries, but don't register more than one email and then claim entries with them. If we detect multiple registrations by the same person they will be disqualified. GSMArena reserves all rights to make changes to the giveaway in case of unforeseeable circumstances. The prize will be shipped directly by our partners from RacePoint Global. If customs fee’s apply to the winners country of residence, this needs to be paid for by the winner.